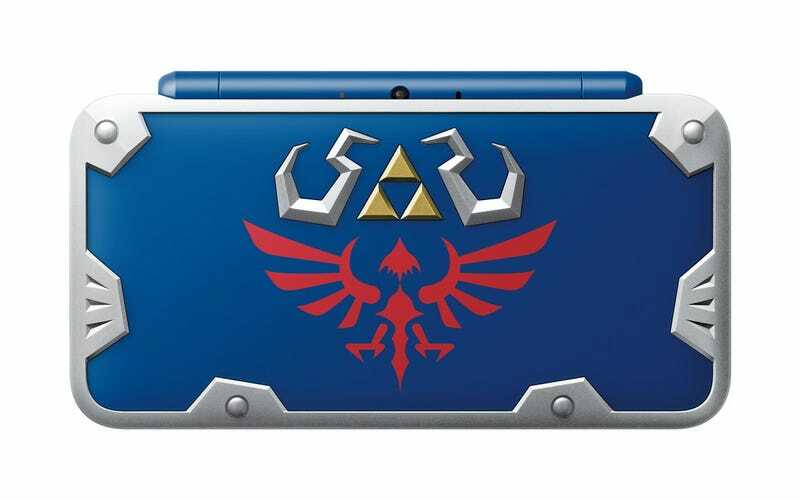 This is the Hylian Shield edition of the Nintendo 2DS XL. It’s out in July. I can see what they’re going for with the design, but...it kinda looks like a $5 cover you’d buy from a basket in GameStop. There’s a long history of very nice Zelda handhelds and consoles, from the golden GBA to the Wind Waker Wii U (below), kind of a shame they went a different route with this. The Hylian Shield Edition comes with A Link Between Worlds pre-installed, and will release exclusively at GameStop on July 2 for $160.